Art Dubai will see two new developments in its Modern section this year. For the first time, the fair will accept group exhibits in addition to solo- and two-artist presentations within Art Dubai Modern, allowing for a wider, comprehensive and deeper reading of art production in the 20th century in the Middle East, Africa and South Asia. In so doing, Art Dubai Modern will present a greater diversity and tighter curatorial proposals. 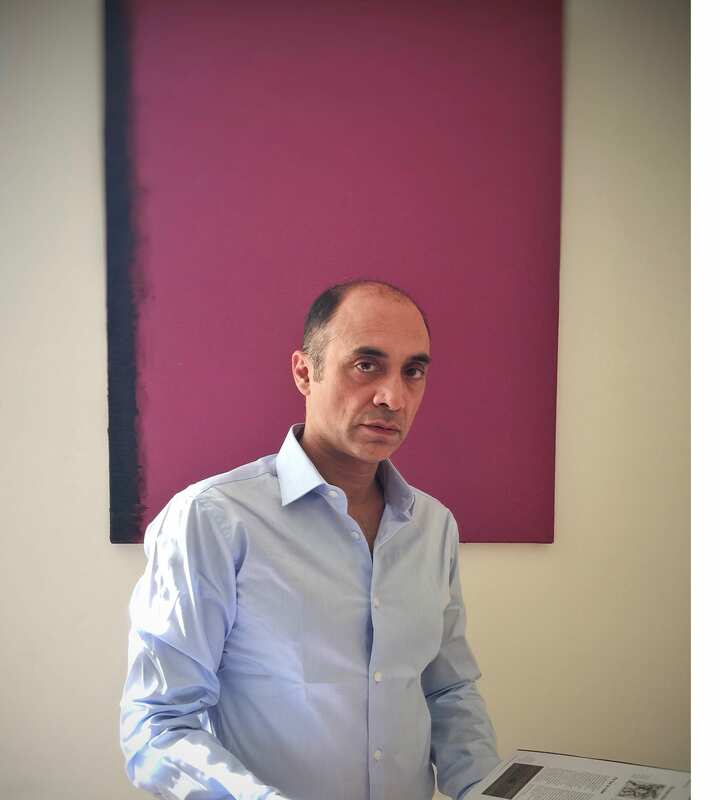 Art Dubai is also delighted that independent curator and art advisor Vali Mahlouji will join a renowned group of art historians and curators on the Advisory Committee for Art Dubai Modern, currently including Iftikhar Dadi, Nada Shabout and Catherine David. Here, Vali Mahlouji speaks about his background, curatorial interest and what he is looking forward to in working with Art Dubai Modern. In 2015, Vali Mahlouji curated a show of works by the late Iranian photojournalist Kaveh Golestan (1950-2003) at Art Dubai Modern. The series, Az Div, from 1976, had remained unseen since 1978, when Golestan exhibited the works in Tehran. Excavating the past to uncover, examine and re-disseminate otherwise unknown, destroyed or endangered material is what led Iranian-born Mahlouji in 2010 to found Archaeology of the Final Decade – an ongoing curatorial and research-based project. 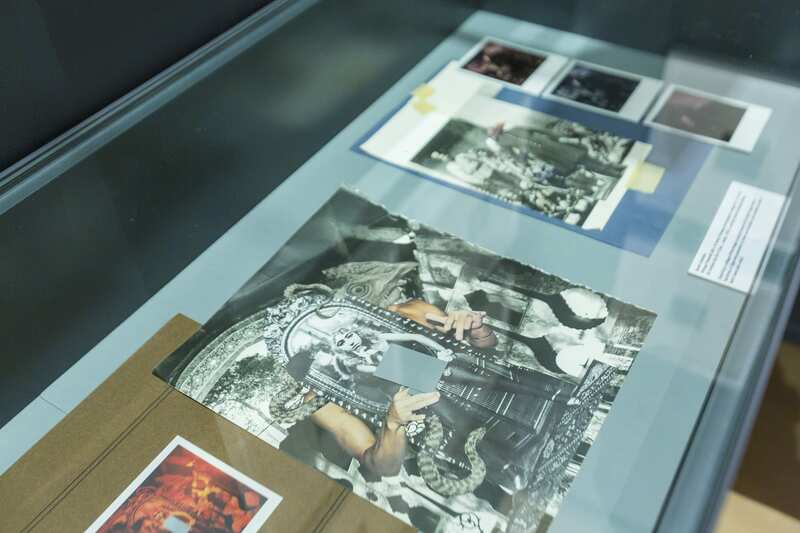 This non-profit organisation’s materials have been acquired by Tate Modern, Musée d’Art Moderne de la Ville de Paris, Smithsonian Institute and Los Angeles County Museum of Art (LACMA). This month, Tate Modern dedicates a room to exhibiting the Archaeology of the Final Decade’s project Recreating the Citadel. An independent advisor to the British Museum, Mahlouji also manages the estates of Golestan and is curatorial advisor to the estate of Bahman Mohasses. He has curated shows at institutions such as the Whitechapel Gallery, Foam Fotografiemuseum Amsterdam, Musée d’Art Moderne de la Ville de Paris, MAXXI Museo nazionale delle arti del XXI secolo, Photo London, Prince Claus Fund, Singapore International Festival of Arts, Bergen Triennial and Open Eye Gallery. In addition to being a member to Art Dubai Modern’s Advisory Committee, among Mahlouji’s upcoming projects is A Utopian Stage at the Dhaka Arts Summit next year. What led you to take on Kaveh Golestan estate? It’s one of the big pillars of my archaeology project, and began when I came across these incredible portraits, which I believe constitute among the most important of female studies in Iran. I was very surprised that no one had done anything about them. I knew Golestan and his family and knew the works, but hadn’t seen them in real; the vintage prints stood as some of the most extraordinary portraits as compositions. What did these portraits tell you? The work that I did on the portraits was very much investigating strategies of seeing, especially from the audience’s point of view. I understand that he photographed them to expose these women, to bring to visibility what was harshly invisible. The area that they lived in was enclosed and he created an overlap between the marginal and the mainstream. Forty years later, the images had not been seen, so I decided that it was important for them to be seen for the merit of their extraordinary quality. This began to define my archaeological method. What drives your interest in excavation? My excavation isn’t Iran-specific. I trained as an archaeologist and studied Near Eastern archaeology, from the Mesopotamian links and through to the Arab conquest. My relationship academically and personally was always linked, I was always interested in roots and connecting dots from the past. Afterwards, I did an entirely different degree in psychoanalytic psychology; Freud was deeply interested in archaeology and mythology and Jung was also deeply interested in mythology. Essentially, this is uncovering and redefining material. Yes. This is dealing with repressed material, the unconscious and conscious. It is material which, in terms of our contemporary condition, a vital area that we need to excavate and create avenues of release. I chose it because I am driven as a person to visit those spaces, but also historically and art historically, it has become important for all of us to make sense of traces, especially in the face of traumatic recent events. On an art historical level, it is about filling in gaps in our art histories and on an individual level, it is bringing attention to particular artists and moments and revaluing them and connecting them to a bigger global discourse. Art Dubai Modern is the only platform in the world that showcases modernists from the Middle East, South Asia and Africa. This must be a treasure trove for Archaeology of the Final Decade. It is a very exciting opportunity to explore artists who functioned before a certain point in time and who had their most impressive expressions produced before 2000. In that sense, it is vital – absolutely vital – to create connections. Art Dubai Modern should and will present a lot of academic questions: for example, the transfer of knowledge from European centres to other geographies – was it a simple direct transfer or a dialogue which is driven in some respect by these characters from other geographies who will remain otherwise unknown? It is true that a lot of our modernists today were linked to European centres, it’s interesting to see where this synergy worked. What about Mohasses piqued your interest? He was a cultural figure and an artist within the Iranian context but he is not known at all outside of that. He was collected by the Iranians pre-Revolution, had a lot of public commissions and then there was silence around him. While in Rome, he could not really have the connection in life, so he went back to Tehran but found that his relationship and the cultural landscape there too traumatic so he uprooted himself again. In that process, he did something epic: he destroyed his works (he could not afford to ship them back or sell them). He passed away in a very financial difficult situation and now we have people scrambling to get this work and so many fakes produced. What I am trying to do is place him within an art historical context and have placed his works at the Los Angeles County Museum, Tate Modern and the British Museum, which are the first three international institutions to have his work in their collection. How do you feel about modernist art in the MENASA today? I think we’re scraping the tip of the iceberg, because through interest in the market and the institutors, some of these artists are being revalued and circulated within an international context but I am sure there are lots of other strands and tangents that will be missed if we rely on the market and institutions only. My interest would be to dismantle the dominance of the modernist narratives coming from the centres and diversify what modernist means in other spaces.